Smart education is an institute which collaborate with the different faculties around the country in different courses like NDA, IAS, CA, CS, BANK ,SSC,ACCA,CIMA,IFRS,IELTS. to provide the best guidance, teaching to every student who cannot migrate to different places to study . Institute collaborate with different faculties and bring them all under one roof . The roof of enlightenment were you study from best to be best. 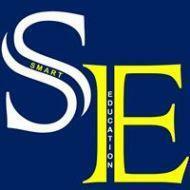 Smart Education conducts classes in CA Coaching and Taxation. It is located in Udaipur, Udaipur. It takes Regular Classes- at the Institute.